A fellow Sangamon County rail-splitter, George Close, noted that Mr. Lincoln’s early appeal was bipartisan. In Mr. Lincoln’s 1832 election, he received one more vote in Springfield that the Democratic and Whig candidates for Congress received together.1 Mr. Lincoln lost that campaign, but he set the political stage for later successful alliances. Although Mr. Lincoln was a strongly partisan Whig, he learned to get along with Democrats as well. 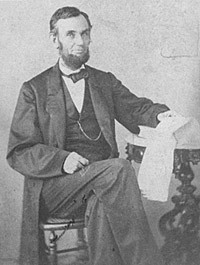 Attorney Orlando B. Ficklin met Mr. Lincoln in December 1835 “at Vandalia as members of the Legislature, a friendship then commenced which remained unbroken by political differences or personal interests or otherwise, up to his death.”3 The two politicians went on to serve in the U.S. House of Representatives together and work together on legal cases. Even political differences were not necessarily cause for personal enmity. 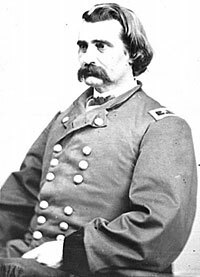 When in the legislative campaign of 1836, Mr. Lincoln and Stuart were charged by Colonel Robert Allen with unnamed offenses, Mr. Lincoln wrote Allen a letter demanding that he reveal the facts behind his insinuations. “I am flattered with the personal regard you manifested for me; but I do hope that on mature reflection you will view the public interest as a paramount consideration and therefore let the worst come. I assure you that the candid statement of facts on your part, however low it may sink me, shall never break the ties of personal friendship between us.”4 Friendly did not mean feckless. Roy P. Basler, editor, “James Quay Howard’s Notes on Lincoln”, The Abraham Lincoln Quarterly, Volume IV, December 1947, No. 8, p. 392. Alonzo Rothschild, Lincoln, Master of Men: A Study in Character, p.47 . Douglas L. Wilson and Rodney O. Davis, editor, Herndon’s Informants, p. 58 (Letter from Orlando B. Ficklin to William H. Herndon, June 25, 1865). Roy P. Basler, editor, The Collected Works of Abraham Lincoln, Volume I, p. 49 (Letter to Robert Allen, June 21,1856). Ida M. Tarbell, Life of Abraham Lincoln, Volume I, p. 129. Shelby M. Cullom, Fifty Years of Public Service, p. 80-81. Roy P. Basler, editor, The Collected Works of Abraham Lincoln, Volume II, p. 228-229 (Letter to John M. Palmer, September 7, 1854). Douglas L. Wilson and Rodney O. Davis, editor, Herndon’s Informants, p. 350 (William H. Herndon Interview with David Davis, September 20, 1866). Rufus Rockwell Wilson, editor, Intimate Memories of Lincoln, p. 334-335 (Cincinnati Commercial Gazette, 1888). Richard L. Kiper, Major General John Alexander McClernand: Politician in Uniform, p. 25. Josiah Bushnell Grinnell, Men and Events of Forty Years, p. 174. Carl Sandburg, Abraham Lincoln: The War Years, Volume II, p. 63-64. Rufus Rockwell Wilson, editor, Lincoln Among His Friends: A Sheaf of Intimate Memories, p. 262 (Thomas D. Jones, Sacramento Weekly Union, November 4, 1871).